FOUNTAIN VALLEY, Calif. – March. 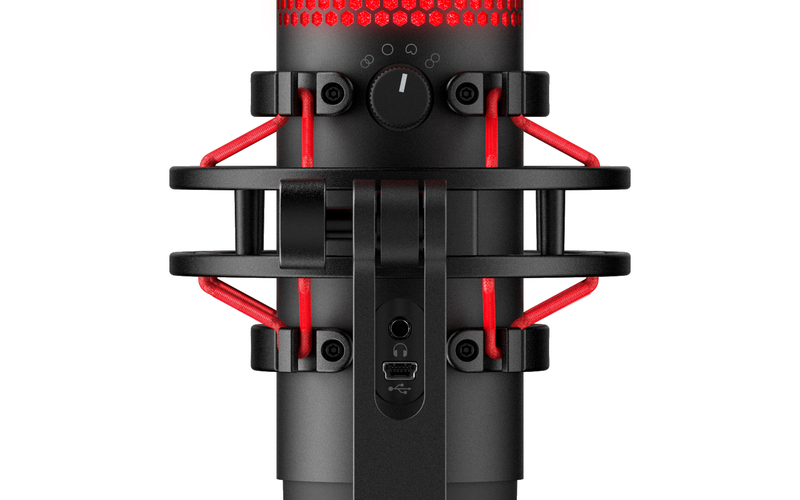 25, 2019 – HyperX, the gaming division of Kingston Technology Company, Inc. and brand leader in gaming and esports, today announced the release of the HyperX QuadCastTM microphone for streaming and audio recording. HyperX QuadCast features a built-in anti-vibration shock mount and offers four polar pattern choices, gain control, a built-in pop filter, and a tap-to-mute feature that indicates the mute status by turning off the red LED lighting. Capturing clear and consistent audio via USB, HyperX Quadcast offers four polar patterns: stereo, omnidirectional, cardioid, and bidirectional for flexibility in audio capture, and utilizes a built-in internal pop filter designed to reduce noise for clearer voice quality. The QuadCast comes with a stand featuring a built-in anti-vibration shock mount, quick gain control and a 3.5mm headphone output for live mic monitoring. The QuadCast microphone offers multi-device chat program compatibility and is certified by Discord and TeamSpeak. The included mount adapter fits both 3/8” and 5/8” thread sizes and is compatible with most stands and boom arms. The QuadCast microphone is designed to meet the exacting demands of PC, PlayStation 4, and Mac for professional or aspiring streamers. 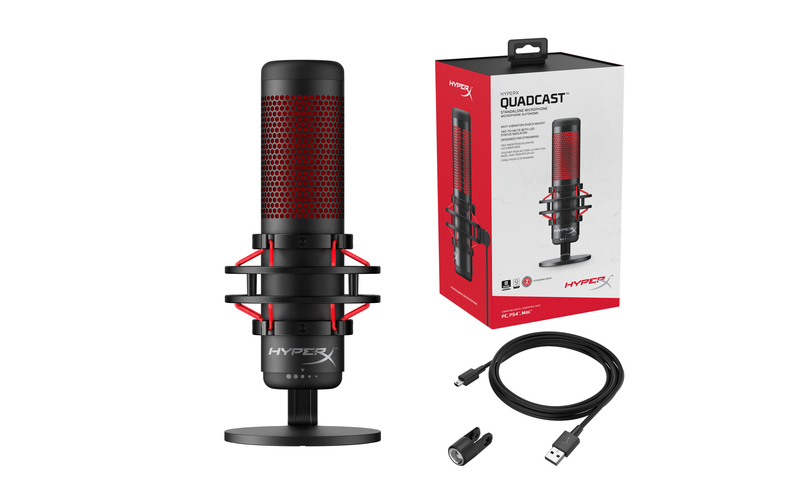 The HyperX QuadCast microphone is now available for $139.99 MSRP through HyperX’s network of retail and e-tail outlets. For more information on HyperX QuadCast and global availability, please visit the HyperX QuadCast product page.